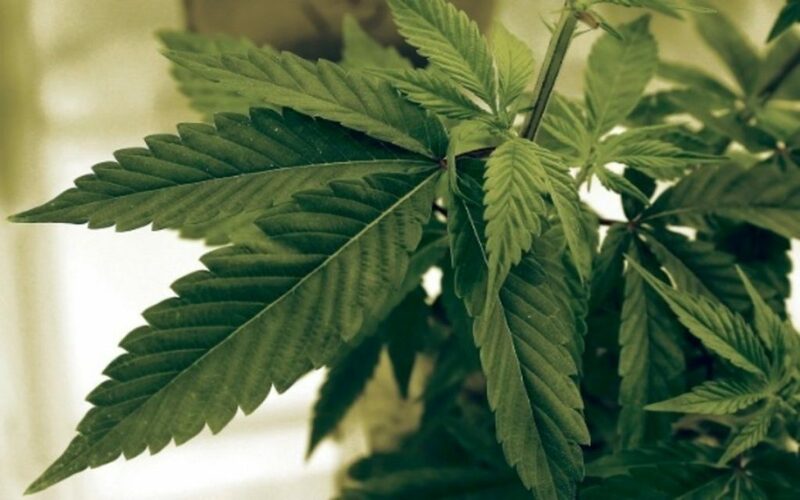 OrganiGram Holdings Inc (CVE:OGI) (OTCMKTS:OGRMF) (FRA:0OG) is among the most impressive Canadian LPs from a financial reporting standpoint, according to investment bank AltaCorp Capital. 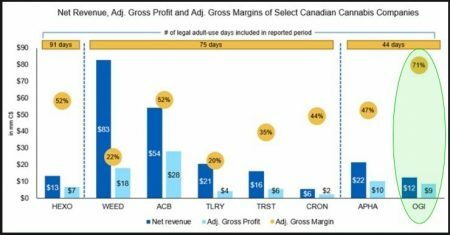 In light of today’s skinny CannTrust Holdings results, we look into how OrganiGram’s stellar financials stand out that much more. Today’s lead story, undoubtedly, in CannTrust Holdings. Although the company produced reported a robust 132% year-over-year revenue growth, it failed to meet street expectations leading to the selloff we’ve witnessed today. The low revenue number in combination with a middle-of-the-road cost of goods sold (COGS) metric means that gross margins have failed to inspire investors. Paradigm Capital predicted beforehand that CannTrust would deliver 58% gross margins instead of the 35% reported. In lieu of today’s disappointment, it’s important to note that unlike some LPs trading at 60-90x revenue, CannTrust has some room to maneuver. In a research note filed by Canaccord Genuity this morning, they note they would be buyers of current weakness based on the company’s already-hefty 50% valuation discount vis a vis its peers. As investing based on peer valuation comps has been a dicey proposition throughout the cannabis sector’s brief history, we leave it to investors to prescribe the appropriate weighting of such advice. "Remains 1 of top picks for us, stock should be 👇 today but we believe well-positioned as leader in medical market / strong tier 2 player in rec. Trades 20x vs large cap peers at 40x. We’d be buyers of weakness." Thus, with the sector (HMMJ) taking its second direct hit in as many days (although there’s been a nice intraday recovery buying- HMMJ only ↓1.05%), we believe some positive affirmation is in order. That comes via a “Chart of the Day” released by AltaCorp in a morning research note. The investment bank provides an overview of the most recent quarterly financials results for select leadership LPs. They have categorized each company by the number of legal adult-use days included in the reporting period for better comparison. The chart also incorporates CannTrust results, which were released this morning. Although OrganiGram’s revenues were modest compared to its peers, its top line packs a punch. On $12.4 million of revenue (Q1 2019 – rounded down to $12M on the chart), the company earned equal to $8.8M in adjusted gross profit. Adjusted gross margins—which goes above & beyond gross margins by including inventory carrying costs—was an industry high 71%. This allowed OrganiGram to achieve positive quarterly free cash flow—a non-IFRS measure—for the first time at $2.9 million for Q1 2019. AltaCorp notes that OrganiGram’s margins look even more impressive in light of average adjusted gross margins select forecast companies is approximately 43%. If the company can maintain its cash cultivation costs of $0.56/gram in the coming quarters as they expand their indoor production capacity at their Moncton campus to 113,000kg/yr by the end of 2019, it should produce a robust net income number. OrganiGram is also invested in Hyasynth Biologicals Inc., a private company focused on developing technology to biosynthesize cannabanoids for future pharmaceutical products. This partnership also has the potential to significantly reduce traditional cultivation costs if biosynthesis compounds can be substituted into refine goods. This is consistent with AltaCorp’s view of how disruptive this technology will be to the Cannabis sector as a whole in due course. For additional nearly-daily insights into the cannabis sector—and in particular, the longer-cycle cannabanoid biosynthesys trade—we suggest readers follow AltaCorp research. Please contact Senior Equity Research Analyst & Managing Director David Kideckel ([email protected]) for access.